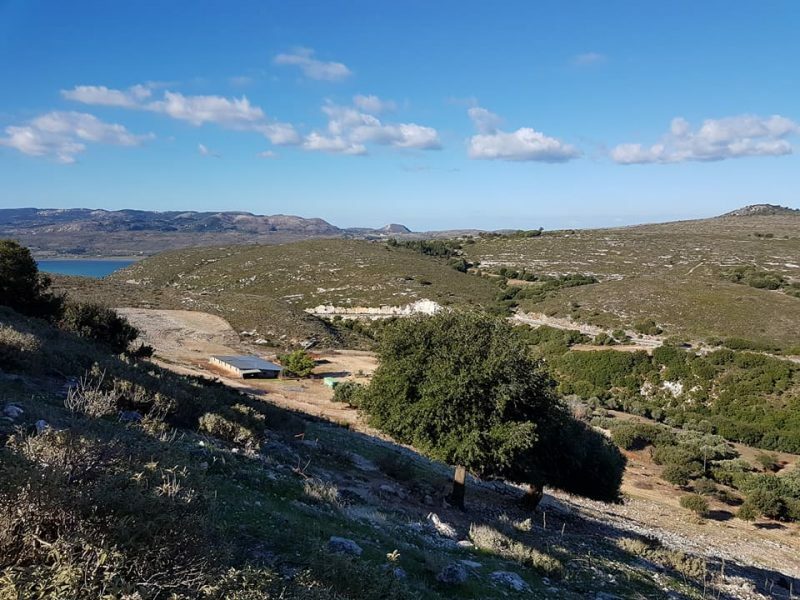 It was Sunday morning, 8th October 2017 in Lixouri, Kefalonia, Greece, the sky was blue, the sun was just giving its first burst of warmth and it was windy. 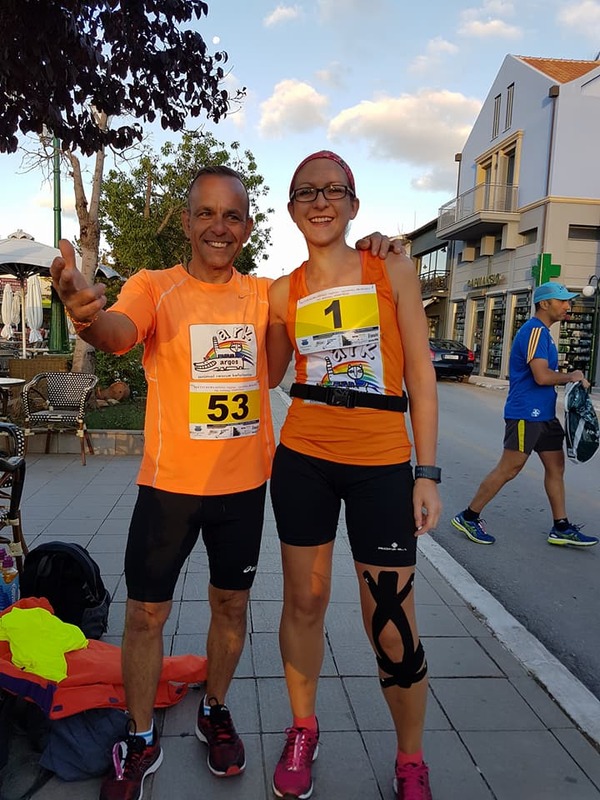 In the central square, a group of runners gathered, mostly islanders all smiling and stretching and talking about what they were about to do – run the 6th Annual Road Race from Lixouri to Argostoli. 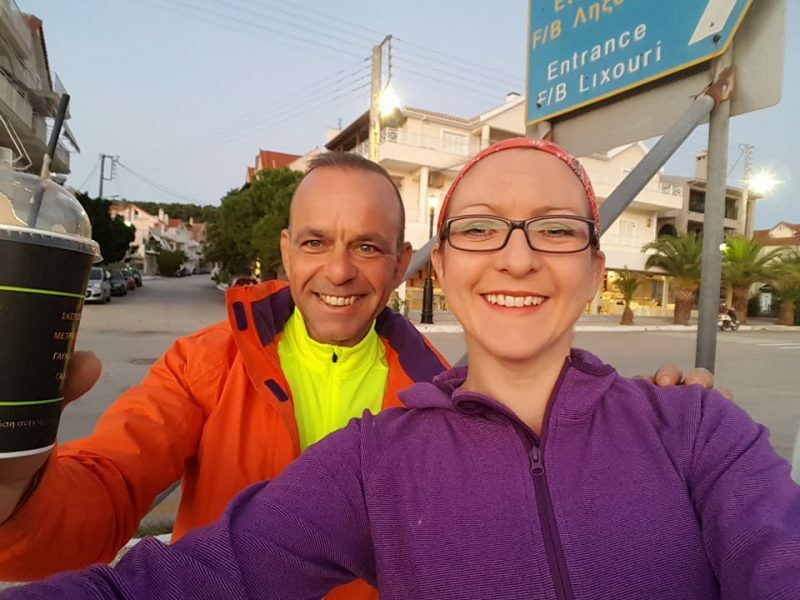 In amongst them was a young lady who flew from the UK just a couple of days before to take part in the race, Helen Redfern, seen here with Theodosis Geogatos-Tsilios waiting for the ferry to take them to Lixouri. Helen is a remarkable young woman, a regular visitor to the island and a passionate animal lover. 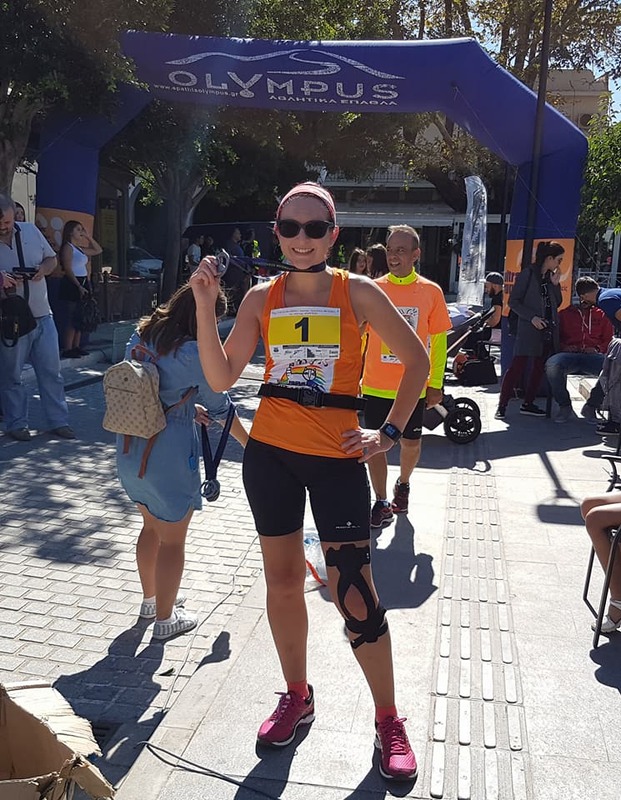 When Helen heard of the race a thought started to take shape – run the race and raise much needed funds for the Animal Rescue Kefalonia (ARK) charity winter food fund. Helen did not reveal her plan until the date of the race was published. When Helen announced her intention to run for Animal Rescue Kefalonia it took them by complete surprise. Helen had already set up a crowdfunding page https://www.justgiving.com/crowdfunding/arkwinterfoodfund and set a target of £5000. This amount equates to one months food for the 350+ cats and dogs at the shelter. No one at the shelter had any idea what Helen was planning. Helen funded her trip to the island herself and offered a prize for the person who guessed her finishing time. Helen had already started a training programme. The 32 km race was not for the fainthearted! 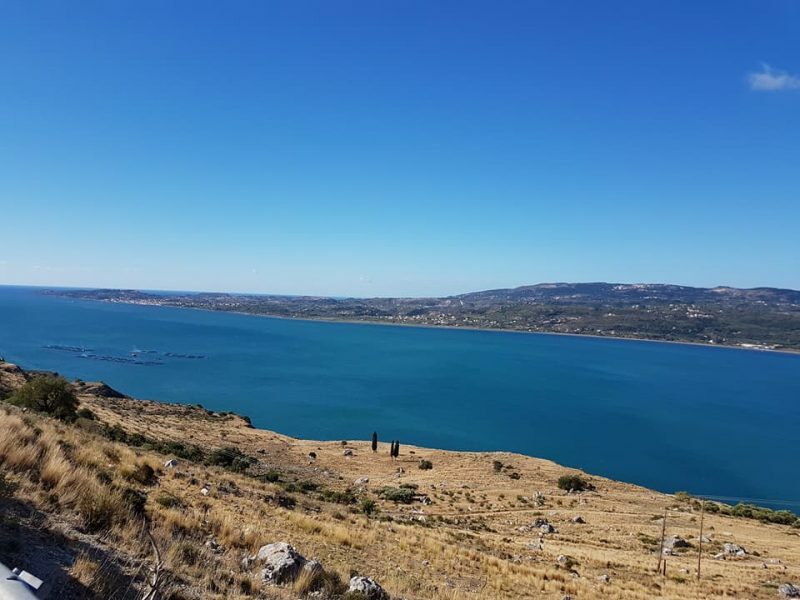 The route passed through many villages and the climb from 10km to 17km was a massive 234 metres. The views were simply magnificent. A couple of weeks prior to the race Helen had a fall, most people at this point might have given up, but not Helen. Helen worked out in the gym and the pool to keep her fitness and at the same time give her knee time to heal. Helen is a most determined young woman! Helen finished the race, smiling as she always does, to loud cheers from ARK members and supporters as she crossed the finish line. Helen looked relaxed as she was presented with her finishers medal and smiled for the cameras. When the last runner had crossed the finish line the presentations for the age groups began. Helen was presented with the Silver medal in her age group 31 – 40 with a finishing time of 3:44:41 Helen was heard to say “I’ve got two medals”! This was something Helen did not expect especially after she had injured her knee. 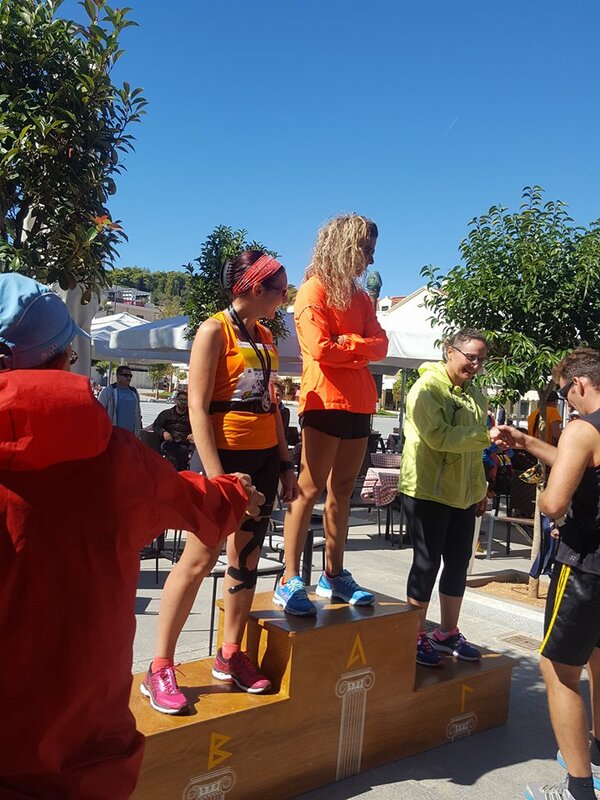 At the end of the presentations Helen was awarded a special Cup by the Kefalonia Running Club in recognition of what she had achieved. 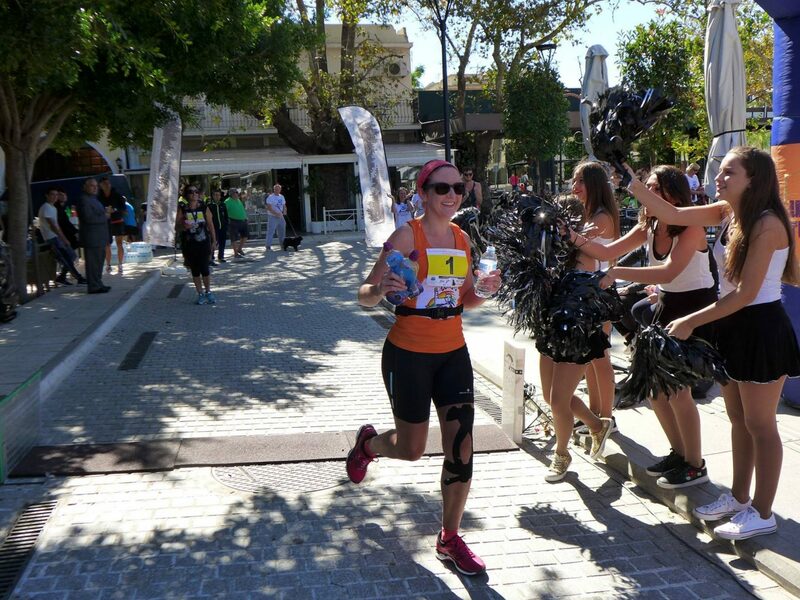 A very proud day for Helen, Animal Rescue Kefalonia, The Running Club of Kefalonia and all their supporters. We all say a BIG thank you to Helen – you have shown what a difference one person can make! Thanks to you and your selfless efforts the winter food fund has had an amazing boost. The final 100m….Helen and Theodosis cross the finishing line!